Is your homeschooler hoping to be admitted to a top-ranked school such as Yale, Columbia, Harvard, MIT, or Stanford? While there are homeschoolers and unschoolers who are successful in admissions to top colleges, including Ivy League colleges, homeschooling alone is not enough. 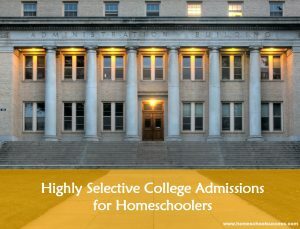 Homeschoolers who are accepted to highly selective colleges typically have worked exceptionally hard at developing their talents and have very strong academic and extracurricular profiles. If your homeschooler has his or her eyes set on a highly selective school, here are few things to keep in mind. Discard everything you know about what it took to get into a top college a generation ago. There are a new set of rules. Homeschoolers interested in top colleges often begin to plan before they enter high school. Successful homeschool applicants usually have performed well in challenging courses, have very high test scores, and have well-developed extracurricular talents. Nonetheless, even students with perfect SAT or ACT scores are rejected. Admissions officers report that the majority of rejected candidates would probably be successful if they were admitted; there are just too few slots. How tough are the odds? At many of the nation’s top schools acceptance rates continue to go down each year. Here are overall acceptance rates for the 2017-2018 admissions cycle, The Class of 2022. A basic expectation for students who wish to be competitive in highly selective admissions is that they have a rigorous high school education with strong development in all of the core areas: math, English, social science, science, and foreign language. Homeschoolers are advised to make a four year plan as they enter high school. This plan may be revised, but it will create a foundation for core subject studies and ensure that the student has budgeted adequate time to complete the expected courses. Homeschoolers are expected to document their high school academics and present them when they apply to college through their homeschool documents. Those documents include the transcript, course descriptions and school profile. Competitive students will want to be able to take AP or dual enrollment college level courses in several subject areas. Homeschooling offers some advantages in building a strong academic profile because homeschoolers have the flexibility to choose if they want to do courses at home or to outsource to an online provider, community college, or tutor. Many families end up finding that a combination of these approaches best meets their needs. Also, homeschoolers have the advantage of flexibility to depart from the traditional calendar as needed. That allows for more in-depth studies in areas of interest and a more time to master any subject where the student struggles. Most homeschoolers and unschoolers who have been admitted to top schools have been able to present clear documentation of their learning. Typically colleges wish to see more than just the parent’s endorsement and this is where “outside validation” comes into play. Outside validation can take many forms, including grades from community college courses, SAT subject test scores, SAT scores, ACT scores, AP scores, recommendations from professors, winning national level contests or awards, and participation in well-known summer programs. Homeschoolers who are aiming at top schools are advised to think carefully about how they want to present themselves during admissions. The emphasis on testing is a tough point for many homeschoolers because escaping the national obsession with testing is part of what motivates many to choose homeschooling. It is reality, though, that homeschoolers who are aiming for top colleges need to pay close attention to ACT, SAT, SAT subject, and AP scores. Test scores are weighted more heavily for homeschoolers than they are for other applicants. Even many colleges that are now test optional do not extend this policy to homeschoolers. Testing strategies for homeschoolers should be planned out carefully. Education should be about more than testing and the failure to identify a good strategy for testing can lead to students missing the mark by over-testing or taking the wrong tests. Students should identify the tests that will best validate their transcript and showcase their talent. Select tests carefully and prepare for them properly. Understanding the tests available is the place to start. It seems there is a lot of buzz in homeschooling circles that colleges admissions offices “love homeschoolers.” This can be easily overstated. What colleges are looking for are students who have developed their talents in the best ways possible given their individual circumstances. The fact that homeschooling is great and your kid is homeschooled isn’t enough. 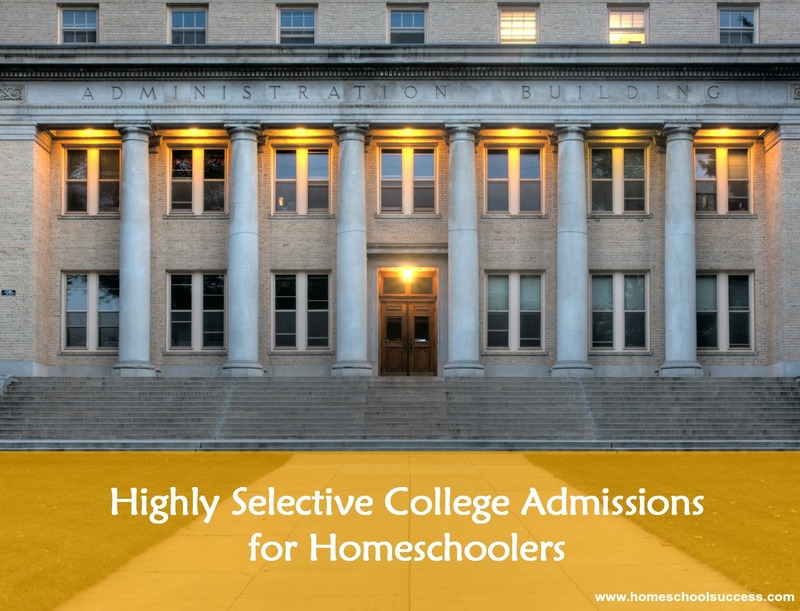 Homeschoolers who are admitted to highly selective colleges have truly exceptional records. These homeschoolers manage to compete with traditionally schooled students by developing a well-documented academic record with challenging courses and high test scores, but they have more than that. Most also have used the flexibility afforded by homeschooling to develop some special area of talent or extracurricular interest. There is no one size fits all approach. Students with who are aiming high are advised to start early and make careful decisions throughout high school. The cost of college is a huge concern for most families and understanding the college financing system is an essential step in college planning. Highly selective colleges often have astonishingly high sticker prices. But, these schools also have huge endowments and many offer very generous financial aid policies. Some of these financial aid policies at schools such as Princeton do not require students to take out any student loans. Homeschoolers may find if they work very hard in high school to build a strong academic profile and they gain admissions to a top school it will cost them less than the price of their state university. A strong transcript and application can also help students earn significant merit aid scholarships at other excellent colleges. Parents are encouraged to take stock of their options early in high school and talk openly with their children about paying for college. Bottom line: It is absolutely possible for homeschoolers to be competitive for top colleges. There are homeschoolers every year who are accepted at some of the best colleges in the country. If your homeschooler has these ambitions, plan early and help them prepare a competitive academic profile. Encourage your homeschooler to take advantage of the wonderful flexibility and opportunities afforded by homeschooling. 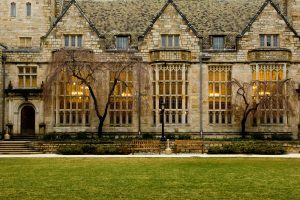 Success in selective college admissions is aided by careful planning. Please check our services page to learn how your family can benefit from working one on one with Barbara Hettle, certified college consultant and founder of Homeschool Success. My daughter just entered high school, so your info is helpful to me. She has some learning challenges which make taking some needed courses a bit hard for her. While she most likely never apply to top colleges, the info you presented is helpful. I stumbled across Let’s Homeschool High School recently and they have lots of great resources for high school. Between your info and their info, I think I finally have a good grip on where we need to head. Welcome Jackie. You may also want to check out the Special Needs category of my blog. There may be some articles you find helpful there as well. We were told to wait on AP tests until senior year so we can be sure Jack will get good scores. Is that a good idea? Unfortunately the AP tests are just offered once a year in May. So, if he doesn’t take an APs until senior year it will carry less weight. Admissions will be able to see he’s taking challenging courses but you won’t have the validation of the AP score. What are some of the well known summer programs you refer to. And would you give some examples of a “special area of talent or extracurricular interest” that would be considered helpful. Thank you for the information, I am finding it helpful. Thanks for your question. There a quite a wide range of summer programs available and it depends on the student’s interests. Just a few examples of well known competitive admissions programs include Telluride Association Summer Program (TASP), Interlochen, Research Science Institute (RSI), Iowa Writer’s program, Ross Math, Program in Mathematics for Young Scientists (PROMYS) and Stanford Institutes of Medicine Summer Research Program (SIMR). Some states also sponsor summer governor’s school programs which can be a great way to access free academic camp offerings. My husband and I are on our way home from dropping our son off at Duke for camp. He will be entering 9th grade this fall, and I know I’ve got to get busy working on a specific plan for the next 4 years. I am in freaking out a bit after looking at the projected admissions rates for 2018, Thankful, though, that I found your blog! We use the Classical Conversations curriculum. I would like to add in an AP course this year. Do you recommend just 1 in 9th grade or more? I’ve heard of AP World History being taken by 9th graders and AP Human Geography. From my own experience with AP courses in high school, I know that the instructor can make a huge difference. Are there any sources that help homeschool parents find a well-regarded online instructor for the AP course they are purchasing? Many thanks! I’ll explore your blog a little further to see if you offer specific services for college application planning. Welcome. It is great you are starting to plan at the beginning of high school. It makes it easier. The admissions rates were for the college class of 2018 – so for students who will enter college this fall. It is hard to make a general recommendation about APs for 9th graders because there are so many individual factors to consider. I’ve had strong students do very well in APs in 9th. They were really ready, but not all students are. Late in high school, especially junior year, can be incredibly busy so having some APs completed earlier in high school can be a huge help particularly for students who get involved in demanding extracurriculars or dual enrollment work later in high school. I work with many homeschoolers who self study for APs and do just fine but that tends works better for certain subjects. I agree not all AP courses are equally strong. It is worth looking on homeschool lists to get reviews and feedback from previous students if possible. I also would not hesitate to ask an instructor about their pass rates. Hi, I was just curious how AP scores get reported to colleges during the application process. 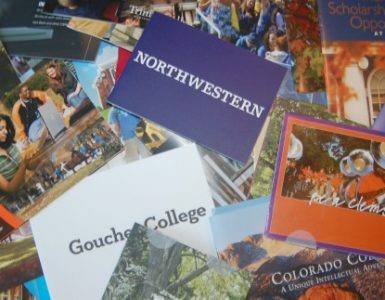 Do you just self-report or are homeschooling applicants required to pay College Board to get those scores submitted for evaluation by the colleges? Thank you. Colleges require official SAT and/or ACT scores during admissions. However, most allow homeschoolers to self-report AP scores as part of their applications. Once they choose the school where they will enroll, then students will need to pay to send their official AP scores. My son is in 8th grade and I am strongly contemplating keeping him home for high school. He takes math through a program called UMTYMP at the U of M, which is very rigorous. I know colleges are looking for rigor with coursework. My son loves Edx and he is a very out of the box kind of kid, loving abstract topics like astrophysics and quantum mechanics, etc. What is your opinion about how a selective college would portray a student who has built their curriculum on many Edx courses? I would assume that certified courses would carry more weight. Also, does it carry more weight if a student actually takes the AP course to go with their AP test, or is passing the AP test more what a school would be looking at? UMTYMP and Edx are both great options. With all of these questions, it is a part of a bigger picture. It is never about just one thing about putting pieces together. For APs for homeschoolers it is primarily the results that matter. Many homeschoolers take APs independent of AP courses and do just fine. Many AP courses with good grades but poor AP scores accomplish very little and may call into question the quality of the student’s coursework. One more question, thanks. 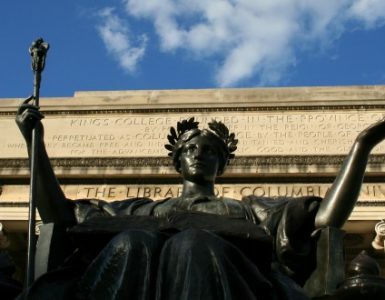 When you are homeschooling and your child would like to get into a highly selective college, how do you truly show that all classes are “honors”? Would you need to take honors classes online that were specifically called honors classes? Great question. It is about more than just labeling a course with the honors label. We want to see a convincing course description, validation of some acheivement through testing, and validation of rigor through recommendations. What about accreditation? With so many different curriculum programs out there, is it important to use one that is accredited? If so, by what organization should it be accredited through? We will begin homeschooling our kindergartener next year and are trying to learn as much as we can about the process all the way through high school and getting into college. In your research, have there been any curriculum programs that are popular among students admitted to top colleges? Thank you. There are some particular circumstances (certain states, NCAA eligibility, re-enrollment in public school etc.) where it makes sense to look at accreditation for high school. That said, for the majority of homeschool high school students accreditation isn’t necessary or particularly helpful. The majority of homeschoolers who go to top colleges homeschool independently for high school with a careful eye at documentation and validation. It is quite rare for a homeschooler to stick with a single curriculum provider all the way K-12 so while it is great to plan over the long term you’ll likely change and adapt as time goes on based on what works best for your family. Thank you for your response, Barbara. I really appreciate it. Just for clarification, accreditation only matters for high school? Not elementary? I have heard several different things. Thank you for mentioning that it is rare for a family to stick with one curriculum. That was another question I had. I really appreciate all the advice you give on your website. Thank you for what you do. Most families don’t opt for an accredited program for elementary. One concern is if a student seeks to enroll in a public or private school particularly in middle or high school placement can be a concern. In that situation having an accredited transcript can be helpful, but it is highly variable and based on the local school district so it is hard to give a single, universal answer to that. If re-enrollment in public or private school is being considered after homeschooling it is good to check in with local options on that. Keystone is not currently accredited with the NCAA. If NCAA eligibility is important for your son it would probably would not be the best choice. I would encourage you to make contact with NCAA Eligibility Center early in the process. Although my son is called “homeschooling”, but he actually is a full time student in a public online high school. He has taken 11 AP courses, scored 4’s and 5’s and a National AP scholar, also a National Merit Scholar semifinalist; his SAT and ACT scores are on 99% national percentile. In addition, he attends Chess club and does the volunteer works; he also an intern in a college lab for two years. Congrats to your son on his achievements. It sounds like he’s built the kind of academic record that should help him be competitive for a highly selective college. I encourage him to keep up the good work and put effort into his college applications. If you’d like individualized help, please feel free to drop me a line through the “contact us” tab at the top of the page. Congratulations on your son’s success. Amazing. What online high school does your child attend? What is your assessment of the success of the coursework to prepare your child for college? Hi, I am currently a 10th grader and I am starting traditional home schooling. As I was in public school, I easily maintained a 4.0 GPA but felt like I was missing out on a lot of knowledge and learning and didn’t feel as if I was a great fit for public school. Since it is the second semester, I am in the middle of an AP World History course and have half a credit and I’m wondering how I will finish this and take the AP test in order to gain college credit. UC Berkeley was my dream school, but I have seen that they are not very welcoming to homeschoolers. I do not mind looking at other high ranking colleges. I plan on getting very involved in many things with the college in my hometown including dual credit courses. I know that colleges look at ACT and SAT scores, and i am not too worried about making good scores, but I have heard a lot about accredited courses and how they are very important but I am not sure exactly what they are looking for. Im not taking an online school for my courses, just taking it upon myself to learn the needed knowledge for college. Do you think this will affect me while trying to get into a great school? Could you give me some advice because I am very stressed out about getting into a good school. Thanks! Welcome to homeschooling. It is certainly possible to homeschool and get into a good school. Many homeschoolers take APs and it certainly would be an option to finish out APWorld at home and take the exam. You’ll need to register with a local school for a seat for the exam and that is something you should do long before May – January is not too early to start with that. 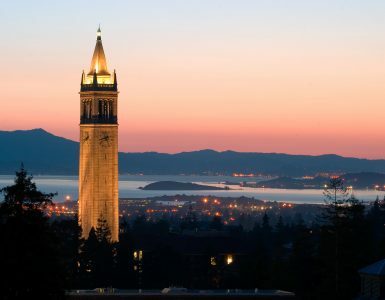 While it is true that UC Berkeley has some specific and different requirements than a lot of schools, they have accepted many homeschool students and there is no reason to think because you are homeschooled that you will not be able to be a competitive candidate for UCB or other top schools. I am considering homeschooling my son who will be going into the 8th grade next year. There are several reasons why I’m considering this but one of my main concerns is how will it affect him being accepted into college and where I can get info on the different programs used to homeschool. It is great you are considering homeschooling for high school. When you first start considering homeschooling it can feel sort of overwhelming because there are many different choices of curriculum and approach. As long as your student is meeting college expectations, you a lot of freedom to choose an approach that feels like a good fit for your family. I encourage you to look under the “free” tab on the top of this page at the printable chart of high school requirements. That’s a good place to start. Which types of classes do colleges prefer or see as a better option for their school? I am specifically trying to determine whether my son should take honors courses, AP courses, or enroll in college courses with dual enrollment. Of course, I realize that documentation for the honors courses along with good test scores for all courses mentioned are important. However, if the child is ready, wouldn’t a dual enrollment course where the student gets both high school and college credit be best? My son now attends the local public high school. Does it reflect negatively on a student who chooses to self study for an AP test instead of taking the offered AP class along with it? Does it look like the student is trying to dodge the work? He is a STEM kid but wants to self study for AP Physics and Biology instead of taking the classes at his school. He hates wasting time or being in a class that is not challenging. He has already self studied most of the physics content via edx, so doesn’t want to waste time in the class. With Biology, he has already had the particular AP instructor for Honors Biology and knows that there is very little instruction in class. It is mostly self learning at home. He would rather than just self study instead of wasting 7.5 hours per week in class. Thanks! Is there any research, or even anecdotal evidence, that shows how frequently homeschoolers apply to selective schools? We talked to the homeschool admissions rep at a selective liberal arts school and he said that only about 0.25% of their applicants are homeschoolers. I heard that quite a few years ago UPenn said something similar. Is there any evidence that this is true? I’d accept the anecdotal information you are getting from admissions about their applicant pools. 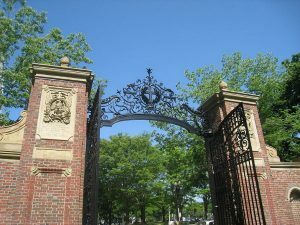 MIT mentions on their site that homeschoolers are still less than 1% of their admissions pool and you can find similar mentions on some other college websites. As is often the case with homeschool statistics there probably isn’t good research into this. I don’t think we can even answer with certainty what percent of high school graduates in the US were homeschooled all the way through high school.